It was at this time of distress that the Israelites started acknowledging all the good work that the Lord had done for them in the yester past. Then Prophet Samuel brought a stone and set it up between the two cities of Mizpah and Shen and named it as ‘Ebenezer”. The meaning of this name is “thus far the Lord has helped us.” (1 Samuel 7:12) That was it. Through that one act of placing the stone and magnifying the Lord God Almighty, the Philistines were subdued, and they did not come anymore into the territory of Israel. Then the cities which the Philistines had taken from Israel were restored to Israel, from Ekron to Gath; and Israel recovered its territory from the hand of the Philistines. In the same way, God shall stretch forth His hand against your enemies. No enemy can come up against you. Hereafter, your adversaries will not overpower you. 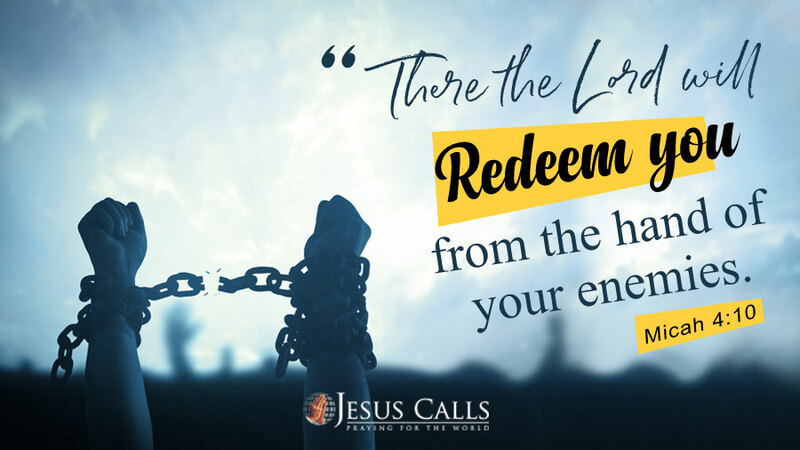 “There the Lord will redeem you from the hand of your enemies.” (Micah 4:10). Whatever may be your loss or the difficulties you face, all that you ought to do is to take a firm decision and declare, “God has helped me thus far and He will help me further.” ‘Ebenezer – The Lord has led you thus far’. Truly, the days ahead of you will be prosperous.